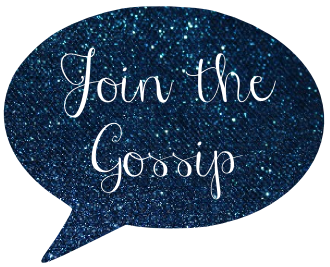 I am proud to announce that Beauty Chat is up and running with a brand new look! In fact, we are currently holding a contest, asking our readers to name our giveaway page. The person who comes up with the most clever title not only gets to leave their mark on Beauty Chat, but also receives a bunch of goodies (pictured below)! Be sure to visit Beauty Chat and check out the improvements that have been made. Let us know what you think! A few months ago I received an e-mail directing me to The Animal Rescue Site, a Web page that enables you to donate bowls of food, as well as care, to shelter animals. By clicking on an icon (you can't miss it once on their site), sponsors donate to this charity...it's that simple. There is no limit to the amount of clicks that you can make, but it is addicting once you start! It's hard to stop because I want so badly to help these poor animals in any way that I can. Other features that I like about this site: There are various donations that you can make (options include rescued bunnies and wild horses, marine animals, and even kittens at risk of losing their eyesight), a new rescue story is posted each day, products can be purchased (ranging from jewelry to license plate frames), and much more! On The Animal Rescue Site there are also links to other organizations, all of which are set up the same way at this Web page. Those charities include hunger, breast cancer, child health, literacy, and the rain forest. So, please visit these sites and help! It literally takes five seconds, but is worth a lifetime of gratitude from those who are passionate about these subjects. Blake currently has an album out, and after hearing one of his new tracks, I decided to purchase it on iTunes. The title is "How Many Words," and I really like it. You can see his performance of it on last week's Idol right here. I recently visited my neighborhood Payless ShoeSource and found this adorable little clutch. Actually it's not that little, I can fit cash, credit cards, a camera, and even have some room for makeup in this purse that can easily be carried in one hand. The bargain shopper that I am, I only paid $5! That's quite a steal for an accessory that can be worn to dress up and outfit or to complement the perfect cocktail dress. And of course while I was there I also picked up some shoes (you can't go to Payless without gettin' some foot fashions!). One pair is very similar to the ones from Old Navy featured in the blog below, just priced lower at $19.99, and the others are $8 peep-toe, faux alligator skin heels. Oh and I almost forgot, I also bought a $3 pair of black and red jewel earrings. Now that's what I call a successful hour of shopping! 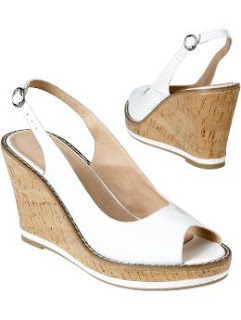 Old Navy has captured my attention with their trendy little "Patent Wedges." Not only are they attractive, they also look comfortable...two things that aren't always associated with one another when it comes to shoes. I can't wait to pick up a pair, just in time for Spring. These wedges are perfect for dressing up a pair of jeans, adding a little style to your work wardrobe, or looking hot on a night out. Coming in colors such as navy, white, black, and red, it's hard to settle on just one pair! I just have to share my latest eyeshadow craze! I usually stick to MAC makeup if I am going to fork over a large sum of cash on cosmetics, but I recently found a high-quality product that retails on a drug store level. 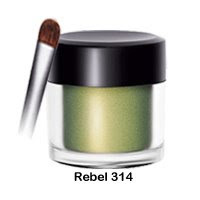 L'Oreal HIP Shocking Shadow Pigments is awesome! 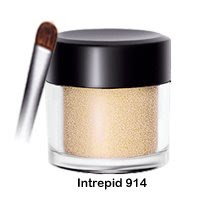 It is a loose powder that goes on smoothly with the eyeshadow brush that it comes with. This brush is so easy to use that my expensive MAC brushes don't even get used anymore...now that I have these ones. The shadow usually retails at $11.99 but they seem to have a everlasting sale at CVS Pharmacy: Buy 1 get one free. This applies to all of the L'Oreal makeup too. So in other words, if you don't have a CVS card, sign up! I recently selected a shade of this shadow that was a bit dark for me, and I wasn't too fond of the look that it produced. So I simply returned it at CVS (with it's packaging and a receipt) and bought a color more suitable for me. So if you are looking to try new makeup, and love eyeshadow, I suggested purchasing some L'Oreal HIP Shocking Shadow Pigments from CVS. Since you are free to make returns, there is no better way to test out cosmetics.